*waves* Hi!! I’m Amanda (Ambha)… Your friendly-but-quirky guide on your very own inner awareness journey. I’m a Kinesiologist, Intuitive Healer, Liquid Crystals Practitioner, Meditation Teacher, and Educator, for those who desire positive change and transformation in their life. 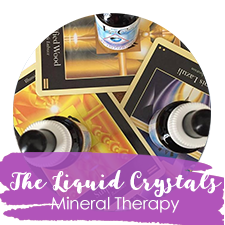 I offer Kinesiology sessions and Liquid Crystals consultations in-person, as well as sessions via Skype/Zoom around the world. I teach meditation classes, run online mentoring circles and group healing sessions. 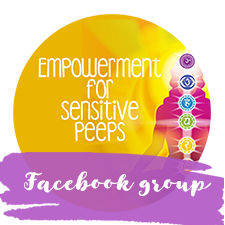 I’m the facilitator for a popular Facebook group called Empowerment for Sensitive Peeps. What is Kinesiology? Glad you asked! But wait. The work I do goes BEYOND labels! Is spread the word that YES, you do have an energy body, and that emotional and spiritual health are EQUALLY AS IMPORTANT as what you eat, and how much you exercise for your Long-Term Health. All these aspects are super-important to feeling vibrant and well. When you’re feeling good in and about yourself, it’s so much easier to truly enjoy the heck out of life, right? I want you to feel whole, and have your Heart & Mind running the show as Co-Pilots in order for you to live a long, happy and healthy life. Coz we function best when both heart and mind have an equal say! PLUS I want you to be free, and 100% willing and able to follow your dreams with enthusiasm and passion. Because it pains me when I see you ignoring all of your amazing potential. You ARE sensitive and talented, and deep down you ALREADY know what you’re here to do in this life. But somewhere along the way, you got stuck playing small. You drank the fear and doubt kool aid (didn’t we all?!). But things don’t have to stay that way! I’m here to act as your guide and facilitator. To encourage you, to believe that whatever it is that you want is totally possible and doable. So, are you joining me? I’ve been practicing Kinesiology since 2014 and I’ve seen hundreds of clients both in-person and via distance. I absolutely LOVE my work! I feel like I’ve lived dozens of lifetimes in this life so far. I’ve worked as an actor, a belly dancer, in retail, as well as a long stint in the corporate sector in the digital media industry. Although I’m from Melbourne, I lived in Sydney for many years and returned when I knew I was going to become an aunty (I’m a very lucky aunty to three beautiful nieces!). I’ve been a long-time yoga practitioner and spiritual aspirant. I met my first main spiritual teacher in 1997, and completed six years of traditional yogic studies including yearly retreats around the world, which included intensive practices such as: meditation, mantra, physical yoga, philosophy, and puja (ceremony). A highly intuitive empath, I’ve always had an interest in spirituality but never expected to end up working as a wellbeing practitioner! 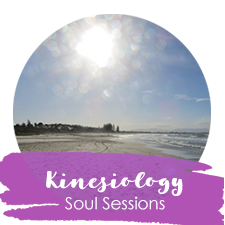 I first came across Kinesiology when I was recovering from PTSD, depression and anxiety. I found it incredibly powerful in helping me shift from a state of trauma, and in uncovering other hidden aspects of my experience – such as inter-generational trauma. As a result of my traumatic experiences, I was also diagnosed with an autoimmune condition called Hashimoto’s, which I was meant to have for the rest of my life! But I reasoned that if Kinesiology could help me shift PTSD, then it could also help me resolve Hashimoto’s. And it did! Combined with naturopathy, yoga, and meditation, that’s exactly what happened! My Hashimoto’s was reversed out in 2013 and has remained that way ever since. It was around this time that I found myself with the opportunity to study Kinesiology, and I’ve never looked back! My clients tell me that the way I work is unique. I approach any/all health problems – be they physical, emotional, mental or spiritual – from a cross-functional perspective. My work is a combination of modern and highly effective evidence-based Kinesiology protocols, alongside my intuitive abilities. My psychic capacities allow me to work multi-dimensionally – within present time, other times in your life, as well as ancestral and past life traumas. I absolutely love learning, and enhancing my knowledge to support my clients. If you’d like to have a chat before you make your first booking, feel free to contact me for a confidential discussion. You can book a complimentary discovery call – we can talk on the phone or video chat. P.S. The work I do? Is for you if you value investing in yourself, and you’re motivated to create positive change in your life! It’s NOT for you if you’re not ready just yet. I do have faith that everyone will be ready in their own time. There’s no hurry. Also? If you don’t get that “feeling in your waters” that you and I are a brilliant, match-made-in-heaven team (you’ve gotta be loving the peeps on your healing team with all your heart! ), then keep looking ’til you find a support system that does resonate with you. Yeah!